First published in 1986, Interpreting Japanese Society became something of a classic in the field. In this newly revised and updated edition, the value of anthropological approaches to help understand an ancient and complex nation is clearly demonstrated. While living and working in Japan the contributors have studied important areas of society. Religion, ritual, leisure, family and social relations are covered as are Japanese preconceptions of time and space - often so different from Western concepts. 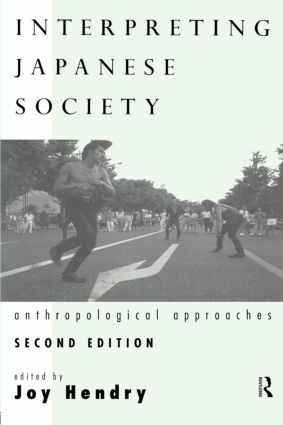 This new edition of Interpreting Japanese Society shows what an important contribution research in such a rapidly changing industralised nation can make to the subject of anthropology. It will be welcomed by students and scholars alike who wish to find refreshing new insights on one of the world's most fascinating societies.